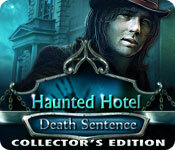 Haunted Hotel: Death Sentence Collector's Edition is rated 4.1 out of 5 by 86. Rated 5 out of 5 by liswan from Fun take on favorite Agatha Christie story I didn't realize right away that it was based off of the "And Then There Were None," story, so that was a pleasant surprise. I wouldn't call it scary, but the story is suspenseful enough to be fun and have some replay factor. Pretty easy overall, but still worth the purchase. Rated 5 out of 5 by kerith90angel from Based on Full Game & Extras: HERE IS WHAT YOU'RE MISSING quick side note: Always check the option NEWEST FIRST in the Reviewers SORT BY.... for games that have been out a couple months... because these are the people that completed the FULL GAME and not just the demo usually and its helpful! **********CONTAINS SPOILERS************* I LOVED this edition of Haunted Hotel! This gets an A+ across the board. They used a lot of voice actors and cutscenes to push the story and both were PERFECT! The attention to detail here is so well done. The story was so great, where you get to play an aspect of the story that all comes together. BRAVO! SE took me 3hrs 15min. The end is great an doesn't depend on the CE's end. CE: took me 1hr. TOTAL GAMEPLAY: 4hr 15min BONUS CONTENT: 1 SCREENSAVER.... As you know I LOVE screensavers and this one doesn't disappoint! It has a backdrop of the orig. hotel scene. In the middle an ornate mirror has an image of the judge's (Esrail)ghost which explodes into mirror shards that each have a characters image! LOVE IT! Worthy of buying the CE ALL BY ITSELF! (after the screensvr goes into your docum. folder, R clk folder, SEND TO your dvdrw drive and save it to a disc, so you can use it again# 7 WALLPAPERS -almost all of them have a shattered mirror, a bummer for me was, after you complete the SE, there is still a locked wallpaper you get after you finish bonus. This is also true with ALL the CE content. I think most Bigfishers would agree, we want to install ALL our goodies Ce content AS we are playing the game, not after! DEVELOPERS, PLEASE DON'T KEEP LOCKED CONTENT TO THE END! Concept art- 8 pics #I actually prefer before/after if we get concept art to see the cool people that made the game. MUSIC- also beautifully done.... there are 5 saveable tracks. Bonus play: Took me 1hr. This time you play the same person as SE, but you are responding to a crashed boat on the hotel's island....and your job is to hunt for the survivors. NEW AREAS OF PLAY::::: There are 7 areas we play on the map. 3 scenes were from SE but they have been updated -pier, porch, & garage-but they have a new feel. The brand new areas are -backyard, basement, rope bridge, and waterfall- I played 7 minigames and 2 hos during bonus ply. CE has a 36page.STRAT GUIDE #6 chapters) + Bonus play. SE pgs 2-26 and Bonus pgs 27-33. Acheiv & Coll. Throughout the CE you collect 22 anitiques. and 10 game statues. Each has its own display room and each item comes up for close examination when you click it...with a little bit of information on the item or person. This was beautifully done, with a lot of attention to detail. There is also an Alternate ending.... which I havn't played yet. The first ending was great! I absolutely adored this HH and can't wait for more! Thank you Big Fish Games! And hugs to all those at Elephant that gave me so many hours of fun!! I adore you guys!! 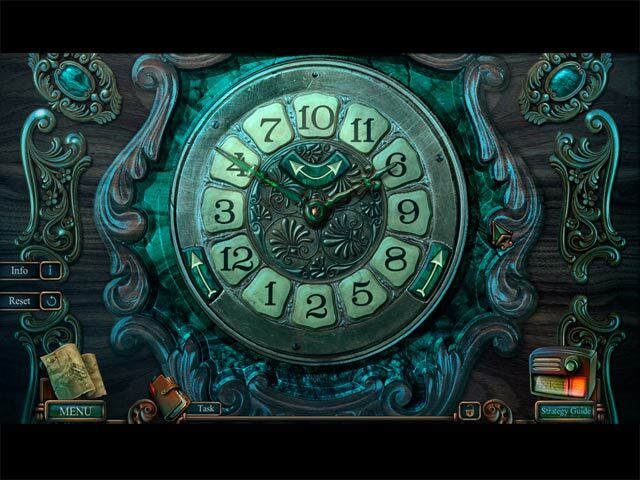 Rated 5 out of 5 by smoovasbutter from An improvement over Eclipse This is the second Haunted Hotel game from Elephant. Its an improvement over the overly cartoony first game. Also, the fact that James is not around to boss you around while you do all the work and he gets all the credit for being a so called great detective is a plus as well. I hope they get rid of James all together. The player character doesn't need him anymore. The game doesn't address the allegations levied against James but maybe thats in the 3rd game. As with most Elephant games, production values are top notch. Rated 5 out of 5 by gramzee4grands from Fantastic game I Beta tested a lot of games but this is one of the few games that I looked forward to playing the whole game. Great graphics, games, music/sounds, overall fantastic game. Rated 5 out of 5 by Raemona5472 from Everything I Look For In A Game One of the best games I have ever played. I wasn't ready for the game to be over, so I gladly played the bonus game. The plot was something new and interesting...kept me guessing the whole time. The puzzles were challenging, but not so difficult I had to refer to the strategy guide. Graphics and sound are excellent. Another winner from Elephant Games! 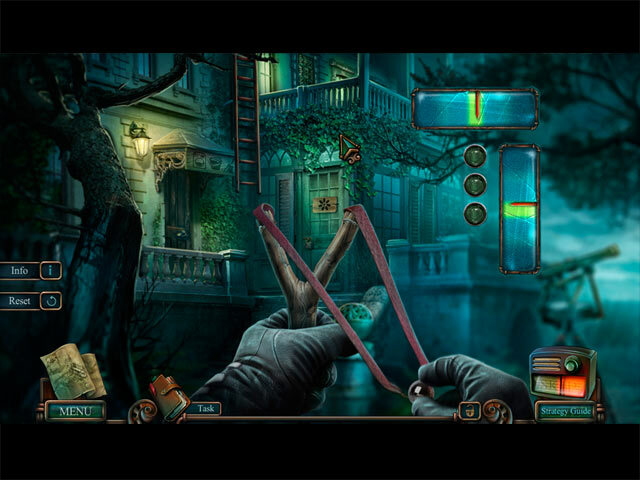 Rated 5 out of 5 by einiespal from Great game This is a well produced, spooky and fun game. Good VOs, artwork and music. The story is really good and kind of sad. Game play is the same for this developer, good HOS and puzzles. The HINT button works well, and there is an informative jump map. 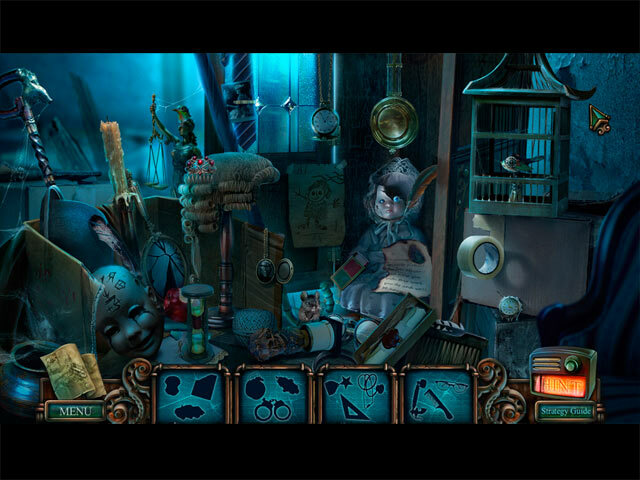 There are the usual collectibles and achievements. My only gripe is that the bonus chapter is so short. That and the other extras lead me to recommend this game very highly but only as an SE. Rated 5 out of 5 by RainySummerRain from Good storyline I liked the crime theme in this game. The graphics are vivid & the voice overs are fantastic..... Loved it. Puzzles not too hard & not too tedious. Like a good book, I just couldnt put it aside till I was finished. Rated 5 out of 5 by DarkMagicGirl25 from Great Game!! Love this game!. Ever since Elephant Games took over this series, I have really enjoyed the addition of James and love how you have to work together with him to solve the cases. Death Sentence provides fantastic graphics, great sound, and a storyline that will keep you guessing. The extra content gives wallpapers, concept art, the bonus mini games, as well as an alternate ending (which I am truly glad that they did not use or I would have been extremely upset). Can't wait to see if Elephant Games brings out another in this series.